Reginald Buckley moved to the Barton area with his mother in the midst of the Second World War. He tells us about moving to and from the area, and back again with his wife, Kathleen. 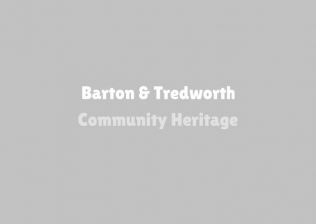 Mr Buckley invited us to his home to share his memories of the buildings and places in Barton Street, ranging from the Picturedrome to a list of the pubs that were at the heart of Barton and Tredworth. 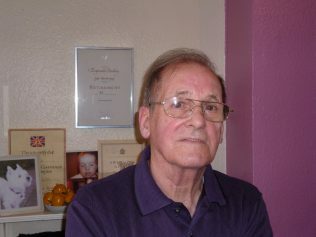 Mr and Mrs Buckley still live in the Barton area in the same home where they brought up their two children, Mark and Ann-Marie. Barton Street may have undergone significant changes since Mr Buckley’s childhood, but he cherishes his fond memories of his mother working for the local Doctor at 141 Barton Street and the strong sense of community that existed at that time. He laughed as he told us about his family car, a ‘Red Robin’ (a three-wheeled car), and tells us of a time when Barton was a ‘self-contained’ community where all of your needs were catered for. He is very proud of his fulfilling career for the railway, a profession that has been passed on to his son. Mr Buckley retired in 1994. You can listen to Mr Buckley reading his poem, ‘Starting from the Railway Gates’ (as photograhed on the right), by selecting the audio clip entitled ‘Mr Buckley 5’. 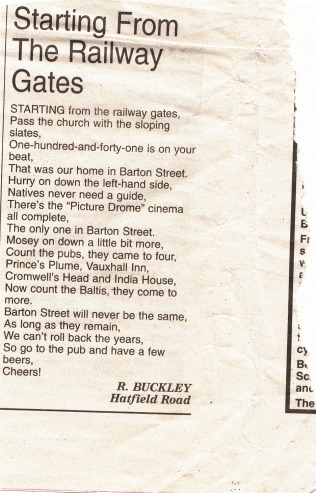 The poem was published by the Citizen Newspaper, and it was a pleasure to have Mr Buckley recite it for us. It gives you a real sense of what the Barton community used to be like.